What comes to mind when somebody mentions the nation of Ecuador? I think of an absolutely beautiful landscape with warm, outgoing people who have a passion for life. Having grown up in Montana—that’s God’s country for the less informed—I love the mountains. I just returned from my second visit to Ecuador—my first trip as president of the International Right to Life Federation. Quito, Ecuador is a picturesque city nestled in a mountain valley at 11,000 feet. But an evil danger lurks among the beauty and tranquility of this South American nation. 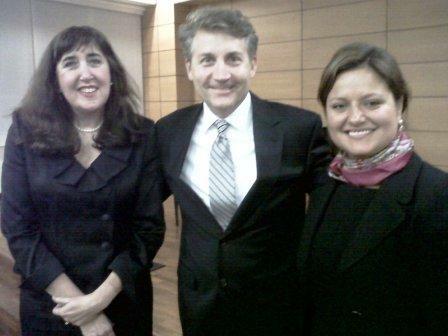 The goal of my visit was to assist the Ecuadorians as they feverishly work to prevent the legalization of abortion. That may surprise you considering the heavily Catholic population, but as we all know, not everyone practices their professed faith, and pro-abortion activists have been gaining ground. 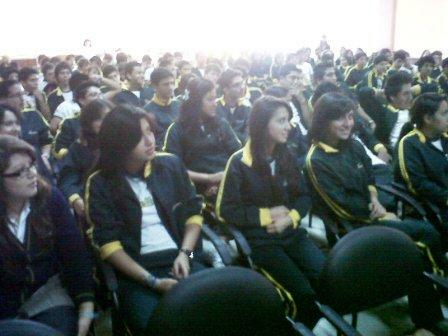 Catholic University, Quito’s largest, sponsored a series of pro-life lectures targeting the academic community and members of congress in an effort to prevent abortion from being legalized. My day began with a secular radio interview that was then broadcast on 40 other radio stations throughout the country. What first appeared to be a mundane event was actually a breakthrough. After the interview, the radio host was so pleased, he told Maria Teale, my translator and head of the local pro-life organization, to come back anytime they had something to say. The lectures were also covered by the major newspaper before and after the event, thus generating lots of discussion in the nations capital city. Dr. Priscilla Coleman spoke first. Shes a professor at Bowling Green University and has done some amazing research regarding abortions psychological effect on women. Dr. Coleman also just released a new study comparing the mortality rates of women who have an abortion versus those who give birth. Both studies clearly point to rejecting abortion to safeguard the physical and mental wellbeing of women. I then spoke about the psychological impact on men who have lost a child to abortion. I cited the available research, talked about why men are affected, the symptoms they experience and finally how to treat these symptoms. Following me was Dr. Danelia Cardona Lozada, a psychologist from Columbia, who described abortions impact on some of her patients. The real-life accounts were very dramatic, clearly capturing everyones attention and demonstrating abortions harmful effects on women. Dr. Coleman and I shared some of Americas nearly forty years of experience with legal abortion. We wanted our audience to understand that those who promote the legalization of killing unborn babies werent disclosing the serious adverse impact itll have on Ecuador and their joy and passion for life. While in Quito, I was also able to talk with various other groups, including a pro-life youth organization. These eager young people demonstrated an immense passion for the cause, a true sense of urgency to their efforts and an all-encompassing joy doing pro-life work. 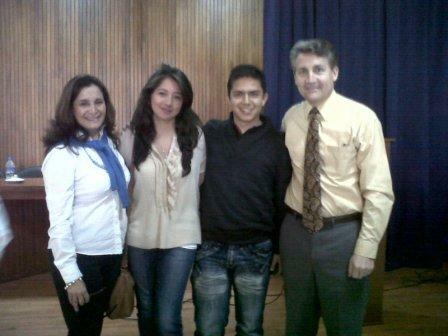 I was very impressed by these young Ecuadorians, as I often am with Americas pro-life youth. Another memorable moment came when Maria and I were well into the week’s activities. We were both feeling the fatigue of a busy schedule and had to get up bright and early to address a packed room of high school students. But theres something about the energy and excitement of youth thats contagious. We were both energized and enthused after our time with them. And if our presence moved even just one of these teens to make a lifestyle choice to avoid pregnancy and abortion, that alone was worth the expense and effort of the trip. America’s most deadly export has been abortion. Since we legalized it in 1973, countries around the world have fallen victim to replicating our nation’s so-called enlightened view of reproductive freedom. More times than I can count, people in various countries have implored me to help stop abortion in America so that it would influence their nation to also take a stand for life. Our message to the leaders of Ecuador was to look long and hard at the harm abortion has inflicted on America. The tens of millions of babies killed and physical and emotional carnage for their parents isn’t worth the falsely-perceived benefits. I pray that our message will be taken to heart and that Ecuador will continue to protect its most vulnerable citizens and greatest natural resource—unborn children. This entry was posted in 2012, International, The Latest by Bradley Mattes. Bookmark the permalink.